Manufacturer : DellCapacity : 300GBSpeed : 15K RPMInterface : SAS (Serial Attached-SCSI)Size Form Fa.. Manufacturer : Dell Capacity : 6TBSpeed : 7.2K RPMInterface : SATASize Form Factor : 3.5 inchLa.. Manufacturer : DellCapacity : 1.2 TBSpeed : 10K RPMInterface : SAS (Serial Attached-SCSI)Size Form F.. Manufacturer : Dell Capacity : 146 GBSpeed : 10K RPMInterface : SAS (Serial Attached-SCSI)Size .. Manufacturer : DellCapacity : 146GBSpeed : 10K RPMInterface : SAS (Serial Attached-SCSI)Size Form Fa.. Manufacturer : DellCapacity : 146GBSpeed : 15K RPMInterface : SAS (Serial Attached-SCSI)Size Form Fa.. Manufacturer : DellCapacity : 1TBSpeed : 7.2K RPMInterface : NLSAS (Near Line Serial Attached-SCSI)S.. Manufacturer : Dell Capacity : 1TBSpeed : 7.2K RPMInterface : NLSAS (Near Line Serial Attached-.. 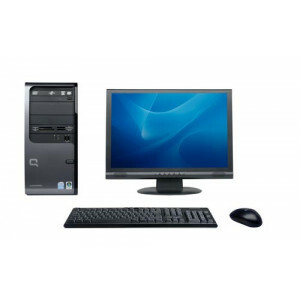 Manufacturer : Dell Capacity : 1TBSpeed : 7.2K RPMInterface : SATASize Form Factor : 3.5 inchLa.. Manufacturer : DellCapacity : 2.4 TBSpeed : 10K RPMInterface : SAS (Serial Attached-SCSI)Size Form F.. Manufacturer : Dell Capacity : 2 TBSpeed : 7.2K RPMInterface : NLSAS (Near Line Serial Att.. Manufacturer : Dell Capacity : 2TBSpeed : 7.2K RPMInterface : NLSAS (Near Line Serial.. Manufacturer : DellCapacity : 2TBSpeed : 7.2K RPMInterface :SATASize Form Factor : 3.5 inchLast Upda.. Manufacturer : Dell Capacity : 300 GBSpeed : 10K RPMInterface : SAS (Serial Attached-SCSI)Size ..